Built by hotelier Lorenzo Bertolini and designed by architects Pio Soli and Alessandro Cantù, Hotel Royal was inaugurated in 1872. Bertolini who already owned the Hotel Royal in Courmayeur in the Aosta valley, recognized the potential of creating a resort on the Ligurian coast, as due to its mild and dry climate and its proximity to the French Riviera, majority of his well-off clients chose to spend cold winter months there. Bertolini bought a number of olive groves overlooking the newly-created seaside promenade where the first palms were being planted, a gift by the Empress of Russia, Maria Alexandrovna, after whom the promenade was named. Shortly upon its inauguration, the Hotel Royal became the home of the best-known names of the aristocracy and the finance of Europe's Belle Époque. A year earlier in 1871, the first train arrived in Sanremo and the olive groves were in a dominant position, close to the station. 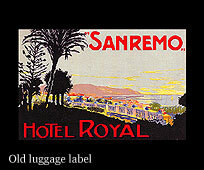 At the end of the 19th century, the Bertolini family owned hotels in Milan, Florence, Naples, Aosta and Courmayeur as well as in Sanremo. 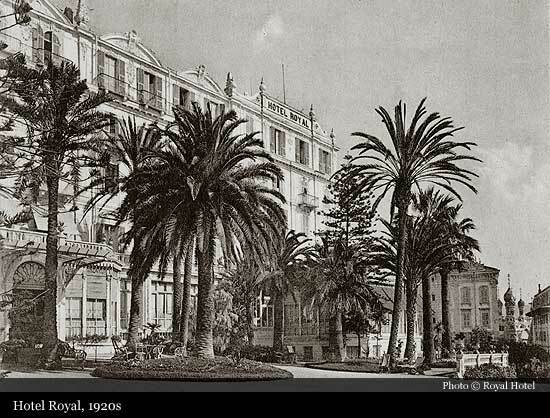 On July 1st 1931 the Rotary Club of Sanremo, the 26th in Italy, was founded at the Hotel Royal. Among the founders was Lorenzo's grandson, Mario Bertolini. 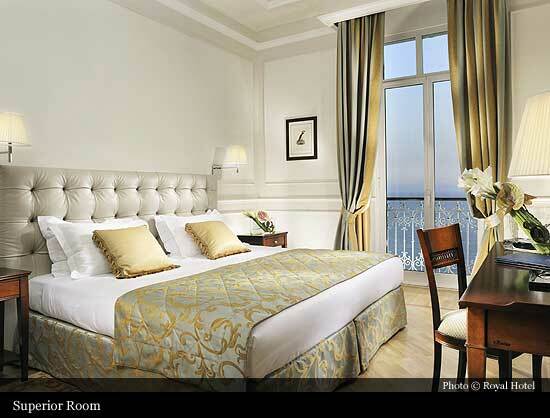 During the Second World War the Hotel was bombarded and suffered serious damage. 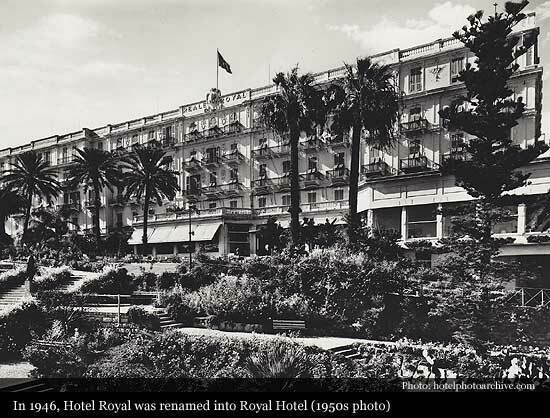 Completely transformed and renovated, the Hotel Royal re-opened for Christmas of 1946 and changed its name to Royal Hotel. 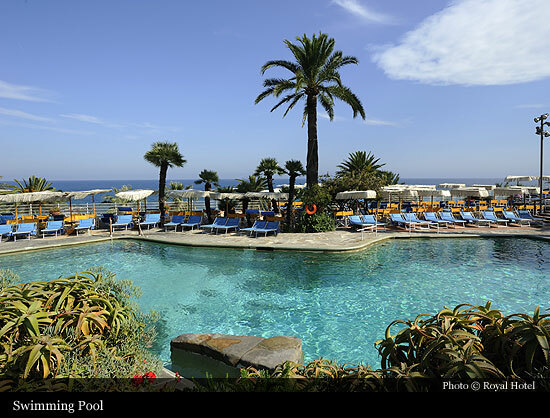 It kept its prime position among the grand hotels of the Italian Riviera of Flowers. 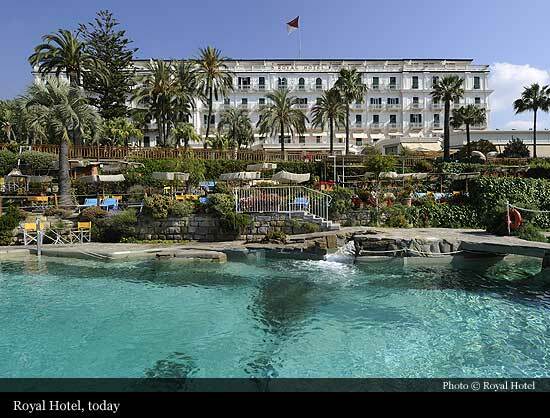 In February 1947, the Fiori di Murano Restaurant with precious glass flower chandeliers was inaugurated, while in June 1948, the scenographic heated sea-water swimming-pool was opened as one of the first hotel swimming-pools in Europe. 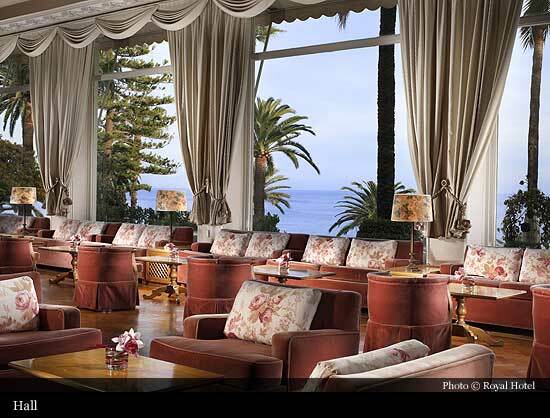 Set in hotel's lush subtropical park of 16,000 sq m/172,200 sq ft., its design was signed by architect Giò Ponti. 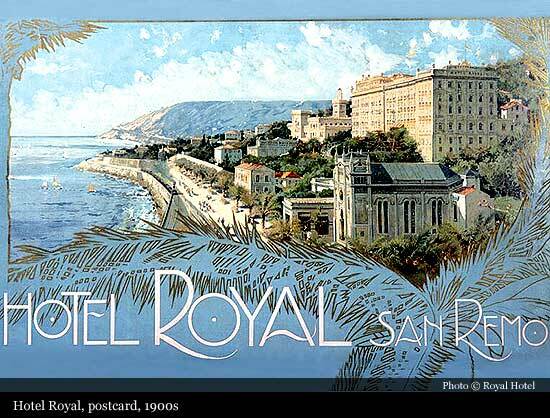 Ever since its inauguration, the Royal Hotel in Sanremo has been the favourite place to stay of European aristocrats and financiers, artists and royalty, leading lights of culture and Nobel prize-winners. Diplomats: Vittorio Emanuele Orlando, Gustavo Stresemann, Raymond Poincaré, Lloyd George, the Duke of Acquarone. In addition to these: 35 Nobel prize winners including Eugenio Montale, Renato Dulbecco, Rita Levi Montalcini, Carlo Rubbia, Franco Modigliani, Bruno Pontecorvo, Lawrence Robert Kline. 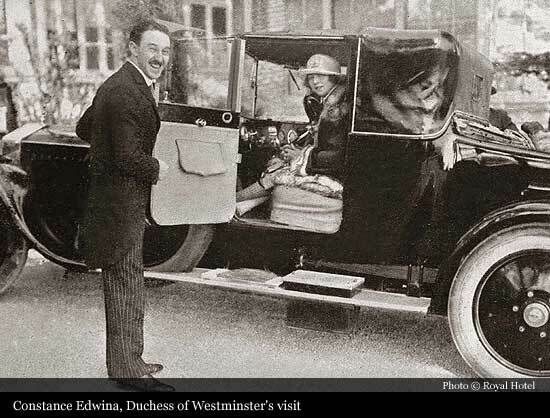 Managers and business men who signed Royal's guest book: Falk, the Baron Von Thiessen, Vanderbilt, Pininfarina. 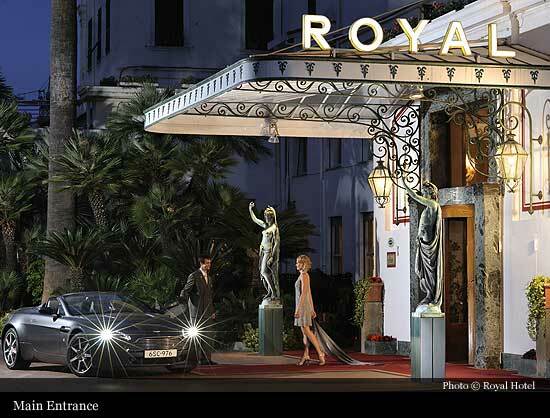 One of Scott Fitzgerald's novels also mentioned the Hotel Royal, while in 2010, the hotel was used as a filming location for "Das Leben ist zu lang", German movie starring Markus Hering, Meret Becker and Veronica Ferres. The hotel façade/entrance, main restaurant, hall and pool area can be seen in the film. Today, more than 140 years from its foundation, the Royal Hotel has preserved all its timeless atmosphere and charm and ever since 1872 is owned by the Bertolini descendants. 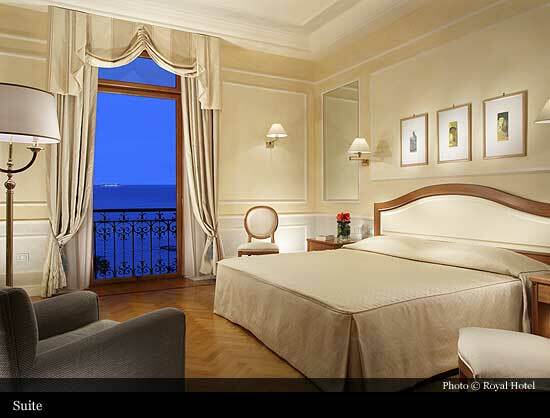 They are carrying on together with the Management with the renewal works, in accordance with its original style, in order to offer guests the ultimate in luxury, comfort and refinement. 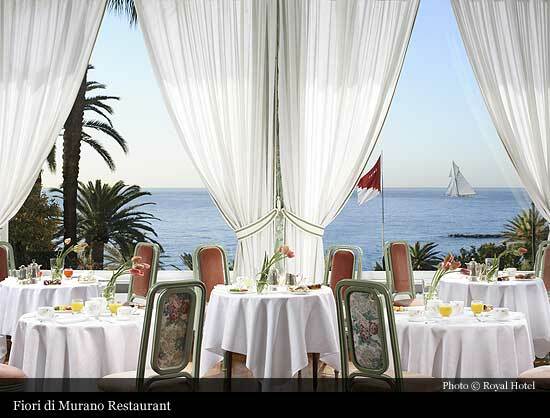 It is member of the prestigious luxury hospitality organization, The Leading Hotels of the World.